Raw, noisy and dripping with debauchery. I think that's the best way to describe the music of New York's Fleshtones. Some music snobs might regard it as a cheap parody lacking originality, but I'd argue that you just can't get around the fuzzed out guitars, pounding drums, and punchy horn section that is a call to happy, dancing feet and shakin' hips everywhere. Frontman Peter Zaremba is exuberant and he wears his influences on his sleeve like nobody's business. I think at one time the Fleshtones were regarded as the ultimate frat-house party band, and when you hear “American Beat '84” (which first appeared on the Bachelor Party soundtrack) you can easily imagine a dark, smokey, sweaty room packed with drunken college revelers — or, I suppose, a dark, smokey, sweaty, room packed with drunken bachelor party attendees. Ahh, those were the days. Yeah, those were the days, but this is the music, a catchy homage to all the sounds that make you want to get up and shake. 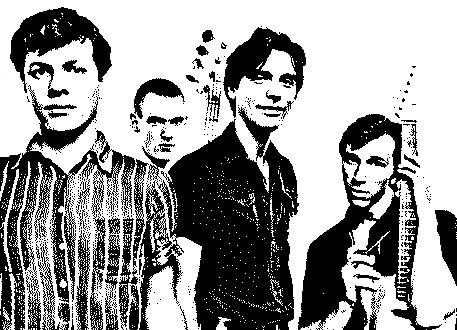 The Happy Medium Song of the Day is “American Beat '84” by The Fleshtones.